A while back I discovered Padlet and thought it looked a useful tool for teachers and others. More recently, Padlet emailed me about a browser extension for Safar and Chrome, called Padlet mini. It sits in my browser window and makes a cinch of adding things to a Padlet wall. What’s so good about Padlet? Well, for me, its stand-out feature is ease of use. Having Padlet mini in my browser means I can use Padlet to collect resources, adding another in 1.5 seconds! I can already curate resources with Pinterest, ScoopIt and Listly. They all do it well, and all have a browser extension. Padlet just does it slightly differently. Padlet is free and looks like a wall. You can add links, videos, text and images to the wall. To show you what a Padlet looks like, below I’m embedding a Padlet I made - about Padlet. It took me all of five minutes to find and add resources that would help teachers use it. After that I tweaked the settings a little, via the cog icon on the far right side menu. You can choose a background pattern for your wall, choose an avatar to represent yourself, choose layout options, ensure privacy settings are the way you want e.g. password protected, and tweak the address you want for your Padlet. I love that even if you set privacy to public, you can still choose to moderate any additions to your Padlet. 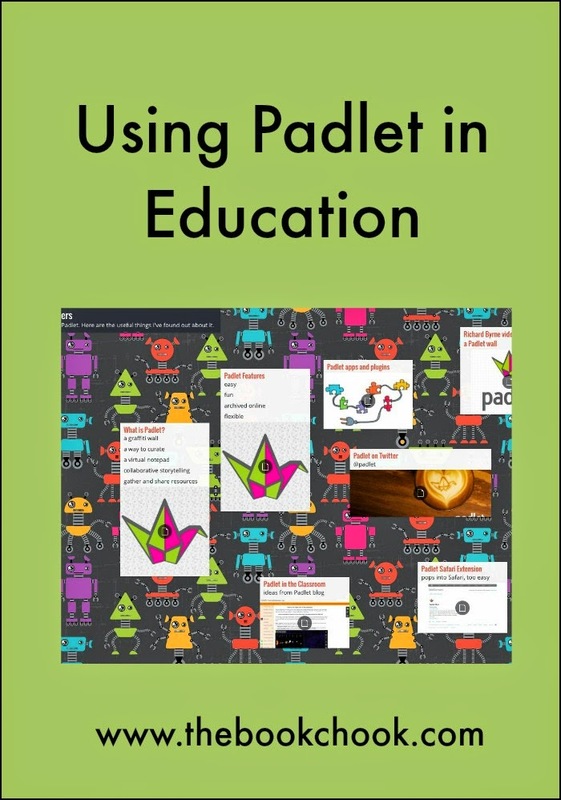 Padlet might be a really useful platform for teachers to gather resources all in one place. Groups of teachers could share ideas and resources this way. Students could also search for and add to a teacher’s Padlet. Kids could use it to collaborate on a project. A Padlet could be built as an author fan page, with books and book trailers collected. The collaborative aspect is ideal where students want to create a digital story, plan a party or organise a special day. Users can upload documents, add pictures taken via webcam, add images, maps, slideshows, videos. There are all sorts of options for exporting and sharing a Padlet, and you can get an embed code to add it to your website or class blog, the way I did below.